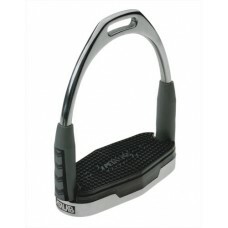 Stainless steel Peacock Irons with safety ring. 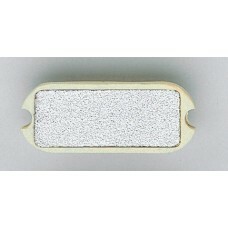 Sold less pads. 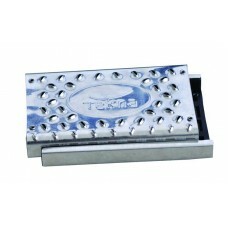 (Uses 851521 or 85152.. 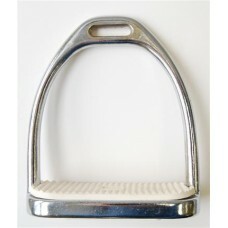 Stainless steel Peacock Irons with safety ring. 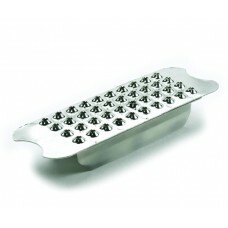 Sold less pads. 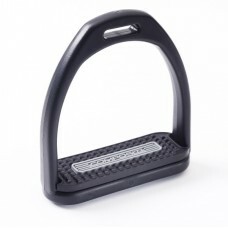 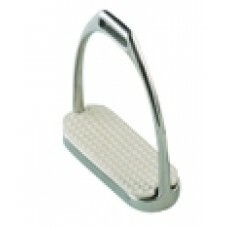 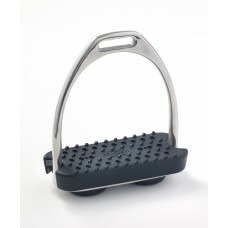 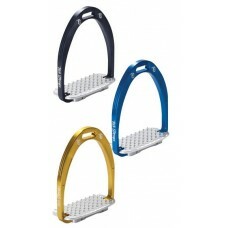 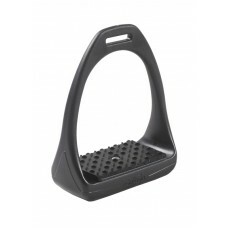 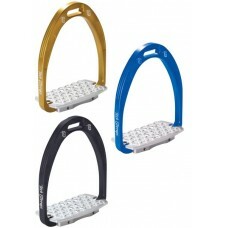 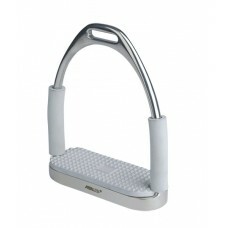 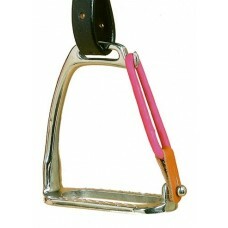 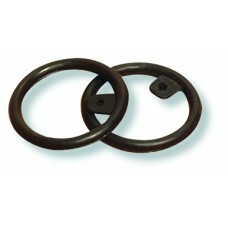 (Uses 851521 or 851522 pads)..
Lightweight stirrup irons feature a wider foot base for greater support. 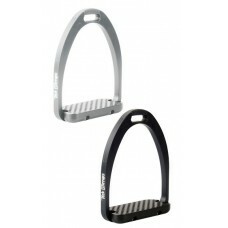 Black irons come with your ..
Lightweight stirrup irons with the sleek look of Carbon Fiber. 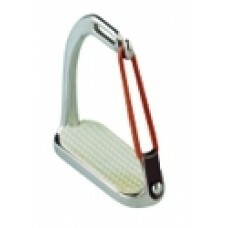 Made of technically advanced composi..
Adjustable to fit most adult irons. 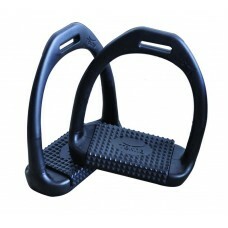 Enjoy the benefits of large treads for stability, spiked surface.. 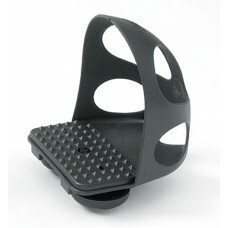 Flexible side bar and air cushion pad for maximum shock absorption and comfort. 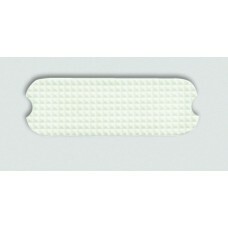 Replacement pads inc.. 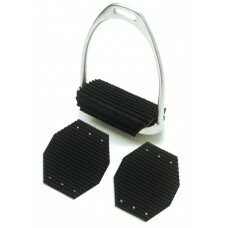 Replacement stirrup pads with grippy "sand paper" surface that helps keep foot securely in place.&nb.. 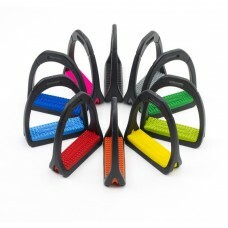 The only wrap-around pads on the market! 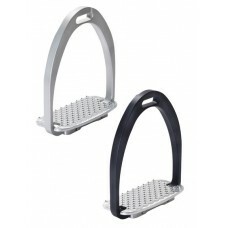 • Pads stay firmly in place • Helps keep heels ..
TECH STIRRUPS APHRODITE DRESSAGE IRONS, 4 3/4"
Made in Italy, the patented Tech Stirrups are made from aluminum billet and fitted with stainless bl..
TECH STIRRUPS ATHENA JUMPER IRONS, 4-3/4"
TECH STIRRUPS DIANA HUNTER IRONS, 4-3/4"
TECH STIRRUPS IRIS CROSS COUNTRY IRON, 4 3/4"
Flex-Tek stirrups offer improved rider comfort. 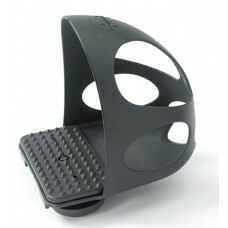 Strong steel pivot knuckle encased in a moulded cove..